Kalmar Industries AB is a Swedish manufacturer of machinery for loading and unloading. The history of the formation and development of Kalmar, a well-known manufacturer of loading equipment, has already crossed a century-old frontier. Kalmar has manufacturing plants in Sweden, Finland, the Netherlands, Malaysia, China and the United States, more than 10 own equipment sales companies and over 150 dealers in all parts of the globe. 2007 – Kalmar becomes part of Cargotec holding. 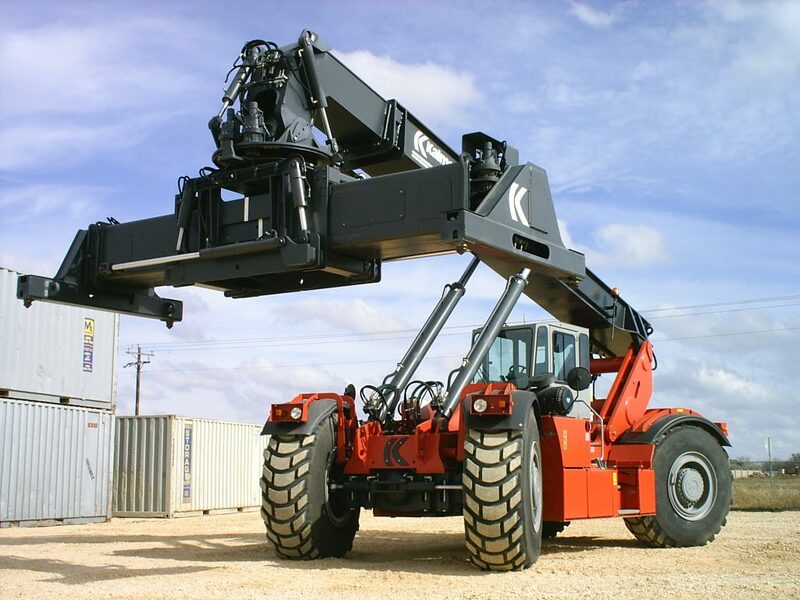 Kalmar reachstackers are designed to handle small and medium sized containers. They are able to handle containers and trailers, as well as to perform loading and unloading work in an industrial environment. Kalmar forklifts are machines with a load capacity from 5 to 52 tons. They are suitable for work in the port, in mining enterprises, in the woodworking industry, in the production of building materials, in the automotive industry. Machines with a carrying capacity of 5–9 tons. They are equipped with hydrostatic transmissions, electric, gas or diesel engines, optionally equipped with three types of cabs. Equipment for working with loads of 9-18 tons. The machines are equipped with a hydraulic system, sensitive to the load, and a special double-rod device for the safe lifting of steel coils. Equipment with a carrying capacity of 20–50 tons. Machines with the function of fast lifting of loads, disk brakes with oil cooling and hydrodynamic transmission. The Kalmar loaders of the Ro-Ro series with a lifting capacity of 28 and 33 tons. A new generation of equipment that is more compact and sensitive to control than other models of the brand. Container handlers with a load capacity of 36–45 tons. Used for lifting and storing loaded containers. Model DCF360CSG is designed to work with four containers, models DCF410CSG and DCF450CSG are able to simultaneously move five containers. The Kalmar loader is a machine designed for lifting heavy loads in demanding conditions. The models are equipped with Volvo and Cummins engines, as well as an electronic control system, with the help of which the operator controls the operation of the forklift truck, changes the speed of lifting and lowering the load, performs diagnostics of the equipment.